Shared Carts allows you and those in your lab or office to add items to a single cart, and submit the one cart as a group order. Also, if you find yourself managing multiple carts that have been assigned to you, consider setting up a Shared Cart Group and have everyone add items to a single cart, which you can review and submit. Identify those in your department who you would like to share carts with, and complete the Shared Cart Group form (PDF) with your group information. Submit it through ASK (login required). When your Shared Cart Group is created, the Help Desk will notify you. 1. When you are ready to begin sharing a cart, navigate to the Shopping Cart page and check the box next to 'Share my cart with others'. 2. From the drop down menu, specify which Shared Cart Group you would like to share your cart with (you can be a member of multiple Shared Cart Groups). You can view the members of a group by selecting the 'View Shared Cart Group Members' link. 3. The cart will now be visible to everyone in your Shared Cart Group. 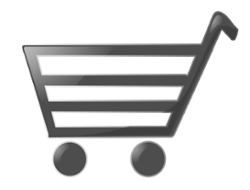 Under the 'Pending Carts' tab, the group members will see the cart appear in the 'Carts Shared With Me' section with this icon . 4. To add items to the shared cart, the group members must click on the 'View Cart' icon or the cart name, to make it their active cart. 5. In order to edit or submit the cart, you must click the 'Lock to Edit and Submit Shared Cart' button to prevent others from making changes simultaneously. You will not be able to edit the cart until it's locked. If you lock the cart and leave it inactive for 15 minutes, it will automatically unlock itself. While you have the cart locked, other group members will a the lock icon and will not be able to make changes. 6. To unlock the cart click the 'Update and Unlock Shared Cart' button.